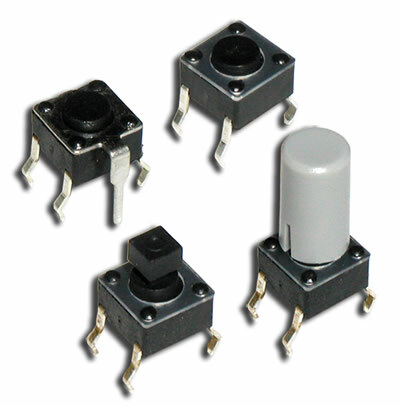 The CT1102 series tact switch is Single Pole Single Throw (SPST) and momentary. 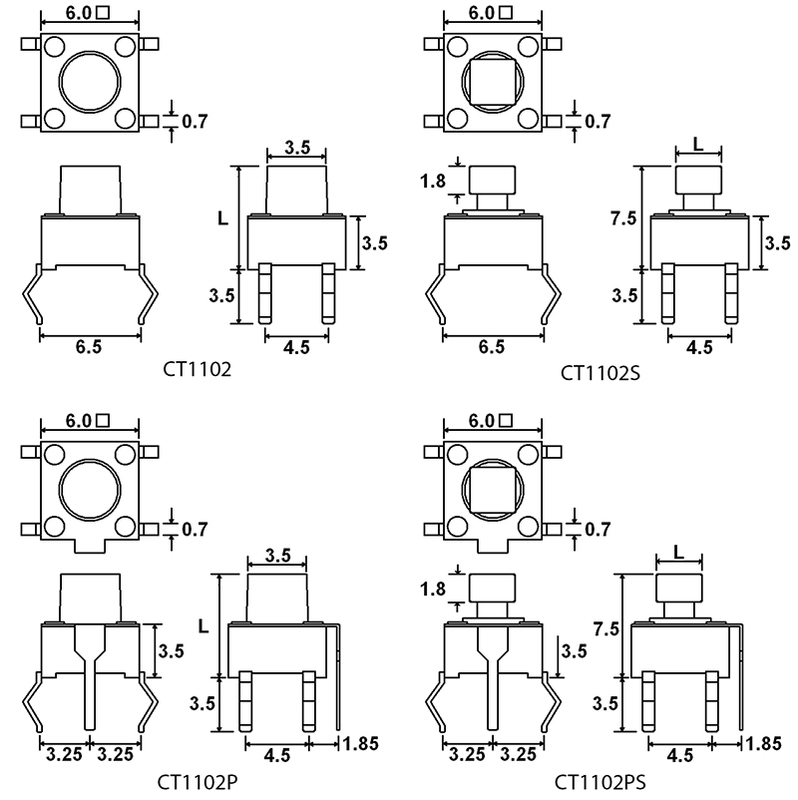 With through-hole or through-hole with grounding pin termination, the CT1102 is available with actuator length options from 4.3mm up to 17.0mm with two square head choices. Also offered are 5 cap options with color choices of white, black, red, and light gray, along with other custom color options.